Denver Post article – Things are better in real estate. The mountain real estate market plunged so far last year that it seemed there was practically no place for it to go but up this year. Turns out, that perception is proving to be true. During the first quarter, many resort areas have seen the number of homes sold rise substantially compared with the same period a year ago. While it’s a step in the right direction, the market is still not as good as in 2007 or 2008. Still, it’s too soon to call the first-quarter rebound a recovery, said Byron Koste, executive director emeritus of the University of Colorado Real Estate Center. Still, the improving first-quarter sales have given many mountain real estate professionals a reason to be optimistic. In Eagle County, which includes Vail and Avon, the number of transactions for the first three months of 2010 rose a whopping 190 percent, to 276, compared with 145 during the same period a year ago. But that’s still 27 percent lower than in 2008 and 58 percent lower than in 2007. Activity should improve with the completion of Solaris, the Four Seasons Residence Club and the Ritz-Carlton Residences this summer, Helmering said. Routt County statistics reveal a similar trend, with the number of transactions during the first quarter rising almost 113 percent, to 312, compared with 277 a year ago. 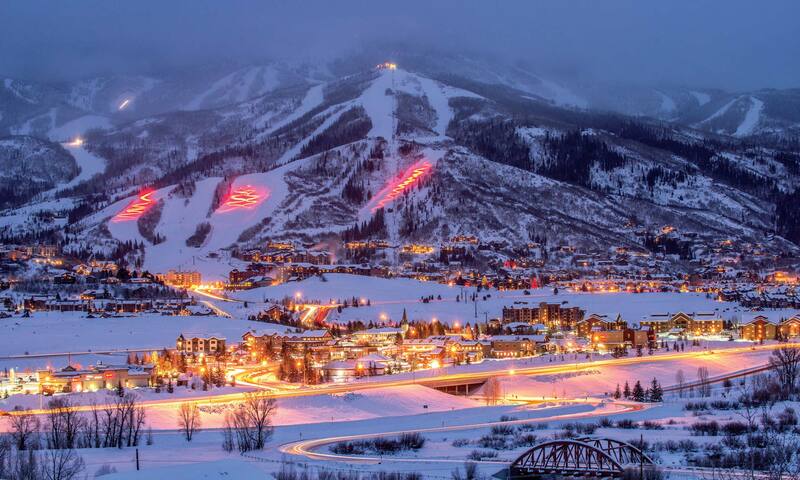 Dollar volume in the county, which includes the resort community of Steamboat Springs, was up more than 225 percent to $125.7 million in the first three months, compared with $55.7 million a year ago. The numbers are approaching the level they achieved during the first quarter of 2008, but are nowhere close to their peak of 2007, when 573 homes sold for a total of $317 million during the first three months of that year. The challenge, according to broker Mitch Clementson of Steamboat Springs Real Estate, is in getting financing to buy a house. In San Miguel County, home to Telluride, just 80 homes sold for a total of $89 million during the first quarter, well off the peak years of 2005 and 2006. In 2005, 227 homes sold for $166.1 million during the first quarter. The following year, 183 homes sold for $196.2 million during the same period. “In my 26 years of being a high-end luxury resort broker in Colorado, we’ve never seen an adjustment in our market like we have the last two years,” said George Harvey, broker/owner of The Harvey Team in Telluride. The market is likely to improve over the next few years because developers can’t get financing to build new projects, Harvey said. But before pricing improves, San Miguel County has an inventory of 795 houses to burn through. While first-quarter sales in all of Pitkin County were down compared with a year ago, they increased in the Upper Roaring Fork Valley communities of Aspen, Snowmass Village, Woody Creek and Old Snowmass. So far this year, 79 residential properties have closed, a 49 percent increase over the same period a year ago, said Aspen broker Tim Estin. In Summit County, there were 160 homes sold during the first quarter, a 29 percent increase over the 124 transactions during the same time a year ago. However, the number is still 44 percent less than the 286 deals closed in the first quarter of 2008 and 55 percent off the 360 sales in 2007. And while sales look like they’re on the upswing, pricing is still off compared with a year ago, said Joanne Hanson, a broker with Coldwell Banker Colorado Rockies Real Estate.